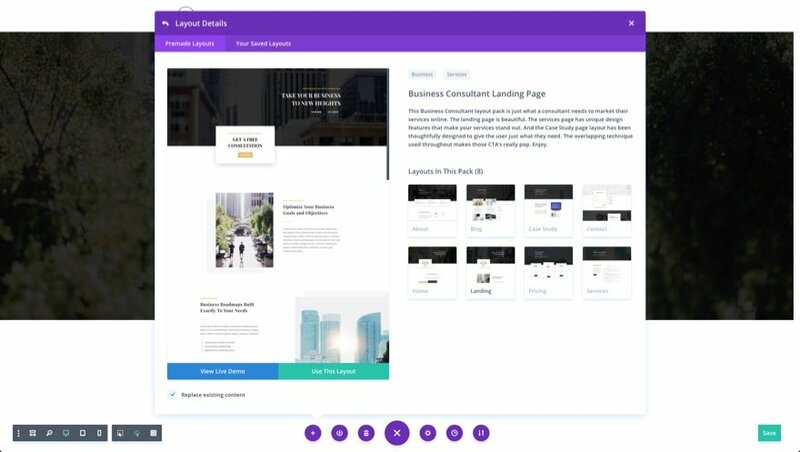 To access your new layout, simply activate the Visual Builder when editing a page and look for the “Load From Library” icon in the page settings bar (it looks like a plus symbol). Click this icon to launch the Load From Library popup. Under the Premade Layouts tab, you can easily find the new layout by scrolling through the list of layout packs. Once you find the Layout Pack, click on it. You will see all the individual layouts included in the pack. Select the layout you want for to use and then click the “Use This Layout” button. 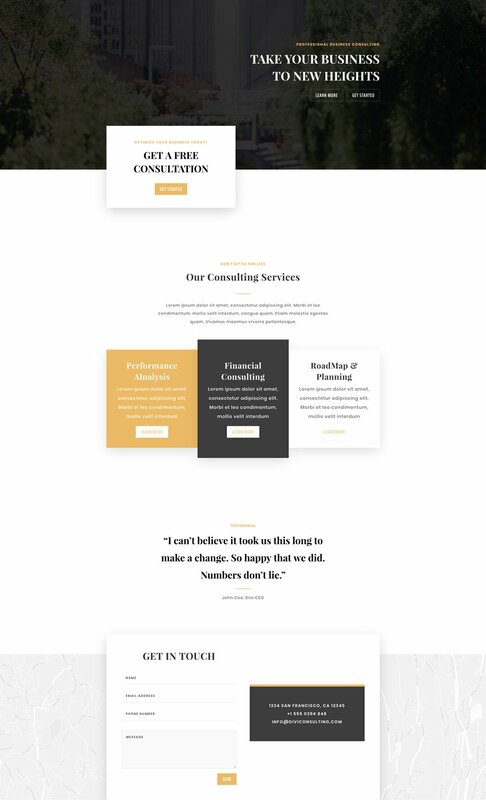 We hope you enjoy this business consultant layout pack. And to help ensure that you do, we’ll be doing a live stream on our Facebook page this Tuesday at 3pm EST to walk through how to use conditional logic to force clients to agree with your terms of service when using your contact form and also how to add a terms of service page using the layout. 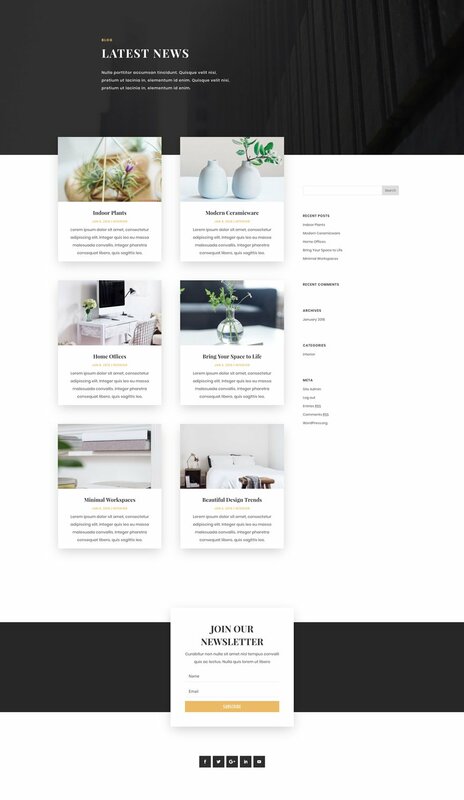 Home page: https://www.elegantthemes.com/layouts/business/business-consultant-home-page/live-demo, then click on BLOG to see what I mean. I followed the instructions and the Layout Pack does not appear in my Library. I open a new page, Go to Visual Builder, click on the plus sign, select load layout and nothing shows up in the list other than Layout Packs I downloaded in the past. What step am I missing? Less relevant: The contact forms always look great but I can’t trust the forms to always send the email (appreciate this is the likes of a server issue and nothing to do with Divi itself and can often be resolved with 3rd party plugins). I typically use another form that stores the entries in the back end; meaning even if the emails weren’t reaching the clients email they’d be viewable by logging into the WP Admin. 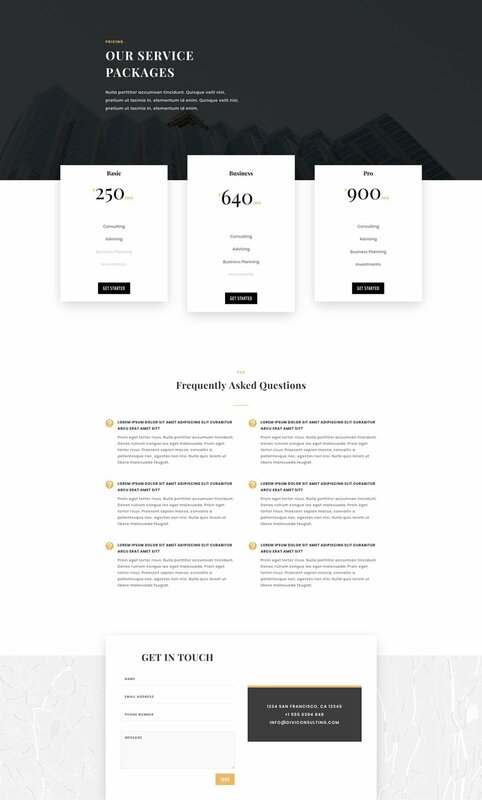 Could something similar be created for the default Divi Contact Form? +1. I’m now use to smtp plugins whenever Divi contact form is used. 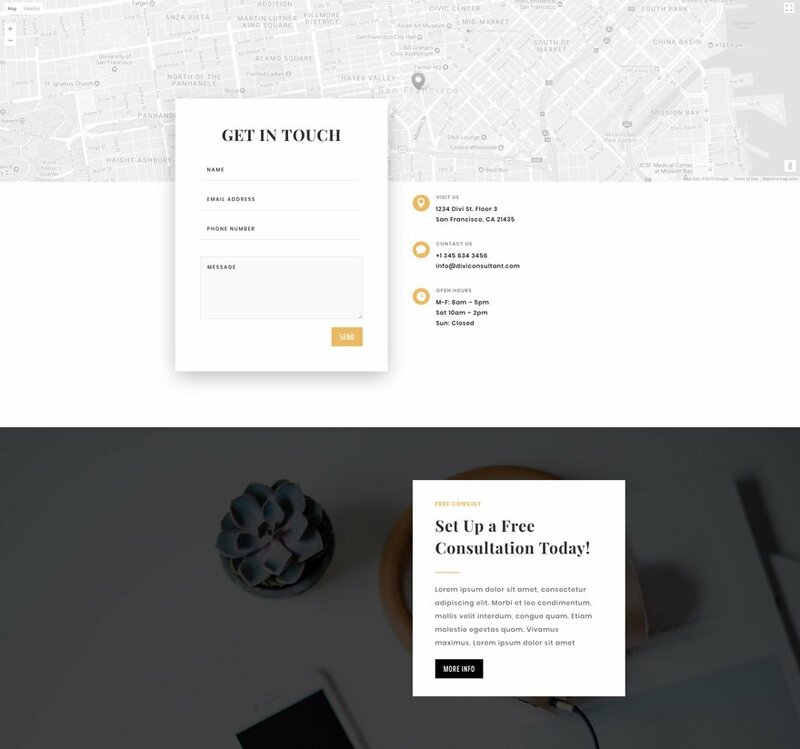 I share your concern, Divi Contact form needs some deeper touch in form of delivering, storing email at WP database and email design for recipient. To save myself from smtp and design issue, I used Visual Form Builder which is a terrific plugin.